Laurel, Montana – Hundreds of barrels of crude oil spilled into Montana’s Yellowstone River after an ExxonMobil pipeline beneath the riverbed ruptured, sending a plume 25 miles downstream and forcing temporary evacuations, officials said. The break near Billings in south-central Montana fouled the riverbank and forced municipalities and irrigation districts Saturday to close intakes. The river has no dams on its way to its confluence with the Missouri River just across the Montana border in North Dakota. It was unclear how far the plume might travel. Cleanup crews deployed booms and absorbent material as the plume moved downstream at an estimated 5 to 7 mph. “The parties responsible will restore the Yellowstone River,” Mont. Gov. Brian Schweitzer said. 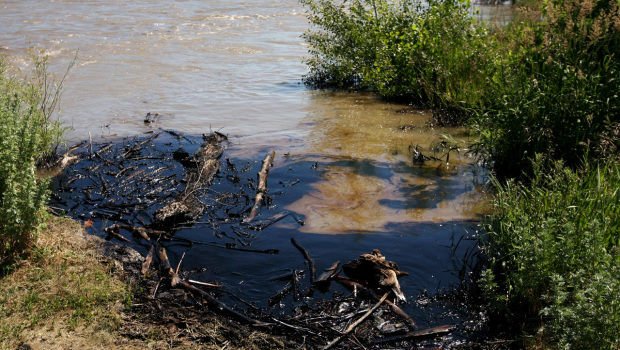 A 600-foot-long black smear of oil coated Jim Swanson’s riverfront property just downstream from where the pipe broke. ExxonMobil spokeswoman Pam Malek said the pipe leaked an estimated 750 to 1,000 barrels of oil for about a half-hour before it was shut down. Other Exxon officials had estimated up to 42,000 gallons of crude oil escaped. Duane Winslow, Yellowstone County director of disaster and emergency services, said the plume was dissipating as it moved downstream. “We’re just kind of waiting for it to move on down while Exxon is trying to figure out how to corral this monster,” Winslow said. 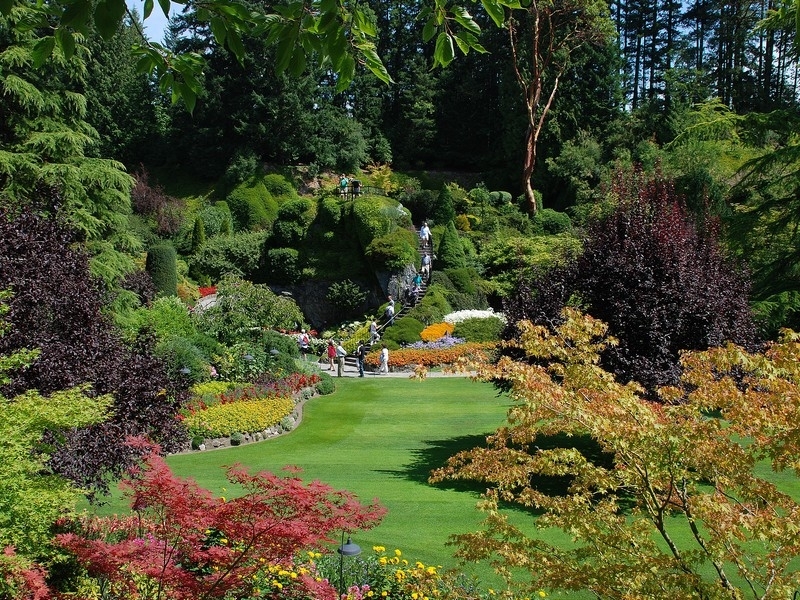 Out on Saanich Peninsula, on Vancouver Island, is the ecological landmark that is the Butchart Gardens. Butchart Gardens are a window into nature’s beauty – and resiliency. To state that the Butchart Gardens are beautiful is to utter a redundancy. To point out that these lush, exquisite – privately owned and maintained – gardens were once an environmental eyesore, a cement quarry whose blighted exterior belied any vestige of nature or beauty still existing within, or that nature or beauty could thrive on the grounds ever again, is to begin to see why the beauty of the Butchart Gardens is an ecological landmark worthy of the world’s distinction. 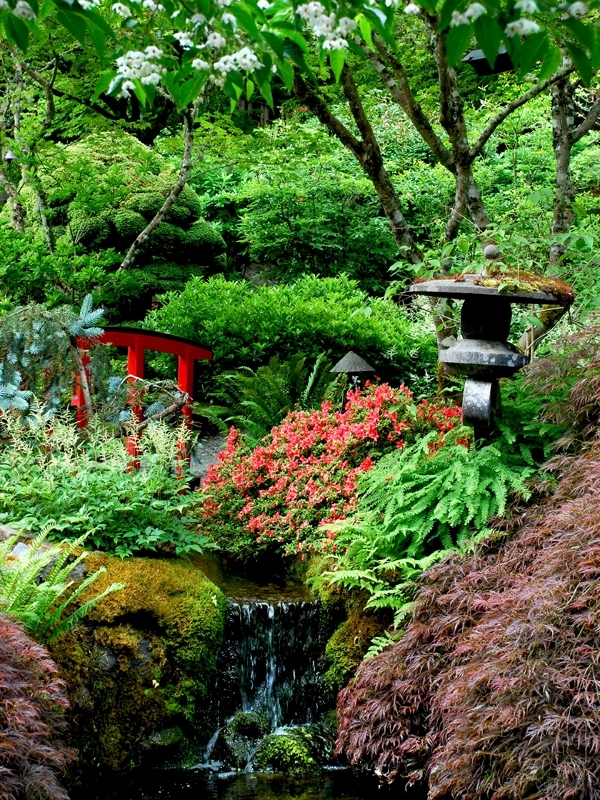 The beautiful Butchart Gardens were once a gutted cement pit, barren of plants and flowers. During an era when there is much conversation around “reclamation” and “stewardship,” the Butchart Gardens offer a tactile experience of just how resilient nature is. What’s more, the gardens are lovingly maintained, carefully cultivated with year-round plantings, with sound stewardship of the land, the soil and the plants in full practice. This stewardship of the gardens, like the ownership of the land, has been passed down through generations, father to son to granddaughter. Beauty can be and is in harmony with nature and the Butchart Gardens are a living example of this. Butchart’s Famous Sunken Garden. Once upon a time, the cement quarry. These items are among the higher volume recyclables processed on a daily basis. Wood flats are used instead of plastic flats. They last for five years or more and are made on site. The majority of fertilizers used are organic based; many are custom blended for the gardens. Wood waste and branches are ground for mulch or compost. Leaves are collected and used for mulch. The Gardens continues to test new methods of pest control with safety for their staff, visitors and the environment as priority. They have a woodland management plan to ensure the health and longevity of the natural forested areas. 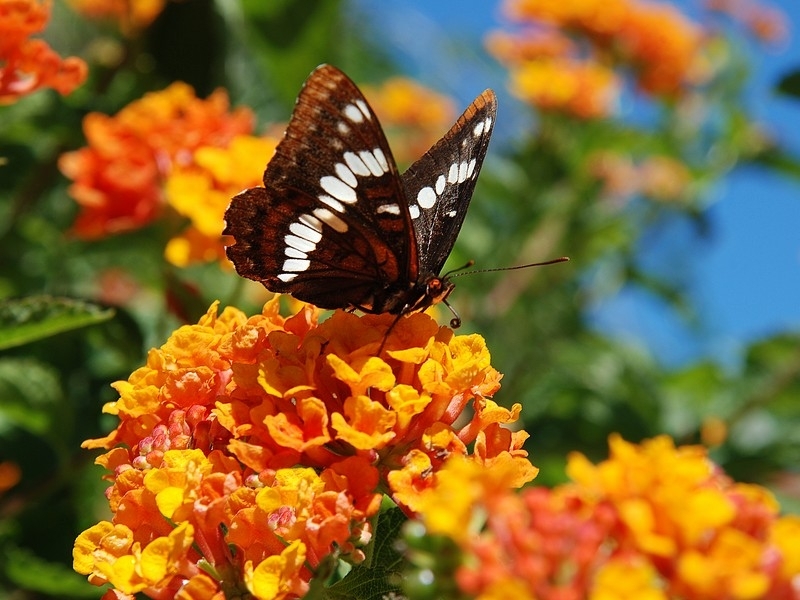 The Gardens has implemented an Integrated Pest Management (IPM) program, using biological and environmentally safe methods of pest control to reduce the effect on the environment while maintaining the high quality of plant display. The gardening department has both an indoor (greenhouses) and outdoor (gardens) IPM coordinator. Composting is integral to recycling, and all green wastes are turned into useable growing media. The Gardens is now self sufficient in producing a high quality product to meet all of its greenhouse production soil requirements. Drip irrigation is used where practical. 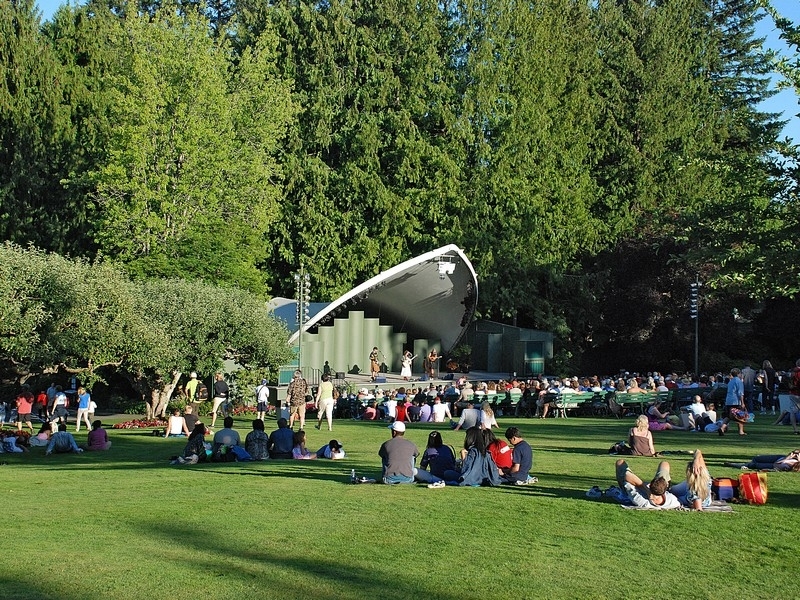 The ampitheatre at Butchart Gardens is a popular place to gather with friends and family. In our passion, however, for eco-speak, we would be remiss to gloss over how attractive the gardens are for families and for afternoons of Family Fun. The season is just kicking into gear and the faster that summer approaches, the more opportunities there are to enjoy the outdoors at Butchart Gardens, gardens that are, in fact, open year-round. 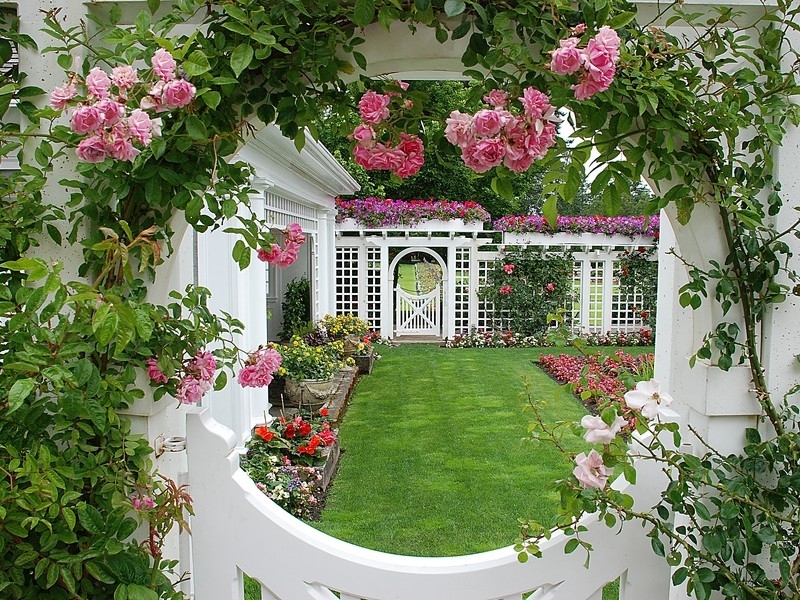 The rose gardens, it is advisable to note, begin their blooming in late June and go through late August. 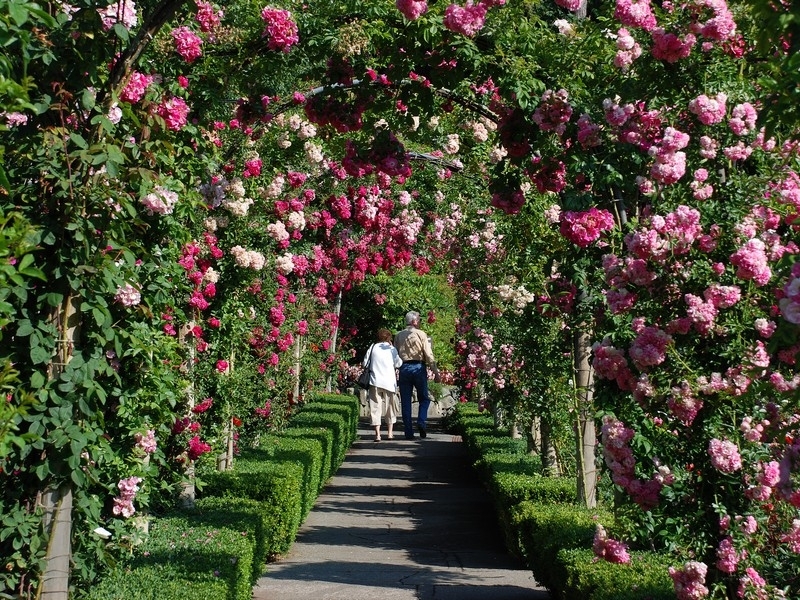 When the roses are in bloom at Butchart Gardens. Gardens represent love. Love does not necessarily mean romantic love. It can be love for family, love for friends, love for fragrances, fresh air, colorful blooms. Gardens by their very being reflect nature’s love for itself, for growth, for sunshine and rain and seasons; for simply reflecting beauty back to life itself and to those who may take a moment to enjoy and breathe it in. 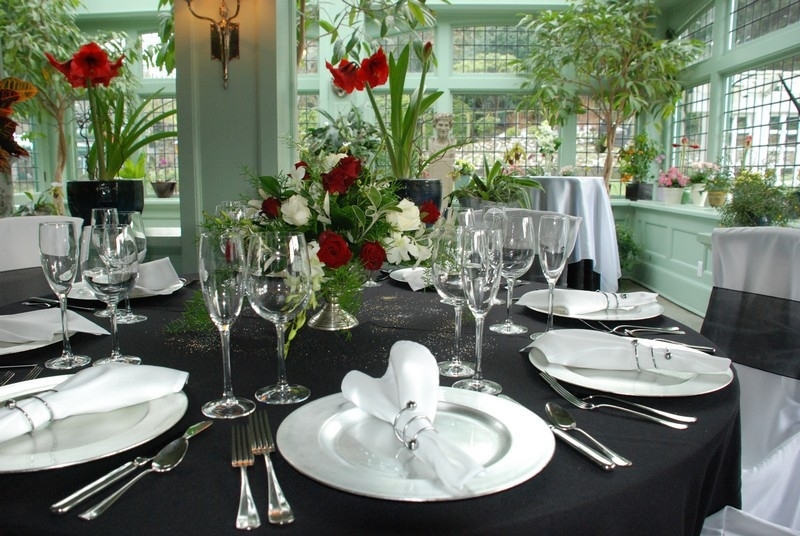 Weddings are hosted at Butchart Gardens, including the wedding reception. 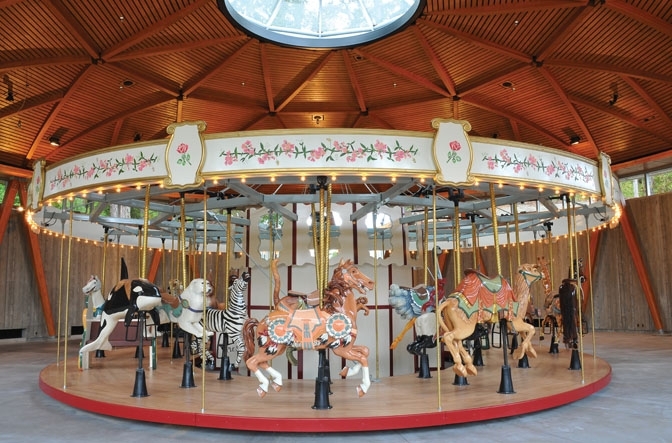 The new carousel is sure to be a cherished addition for generations to come. It is most certainly one of the only carousels to have an Orca as one of its mounted animals. It is so fitting, of course, since you can walk a few hundred yards down to the Ocean Bay that hugs along the coastline that Butchart Gardens calls home. Likely on the ferry over from the “mainland” you will have seen some whales, Orcas or seals. They used to even keep fish in the small lake on the gardens’ grounds but have since stopped because the seals from the ocean bay would squirm their way somehow into the lake to have a feast of fresh fish. The new Carousel at Butchart Gardens, complete with Pacific-Northwest Orca. Eco-tours that launch from the Butchart Gardens bay every hour – right there on the grounds – will take you, in electric powered boats, around the inlets and scenic coastline that the gardens are uniquely privy to. 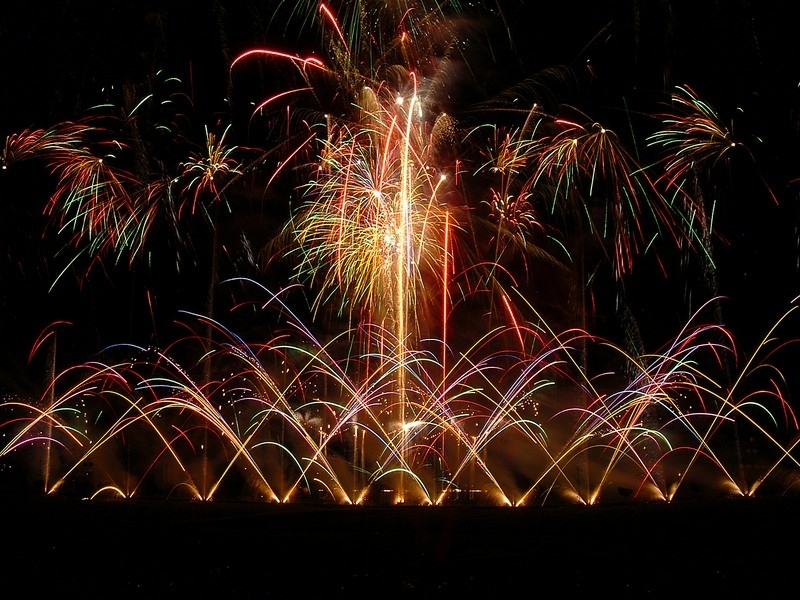 Another summertime fling to look forward to are the Saturday night fireworks. People begin gathering sometimes as early as noon, staking out a place on the grounds with their blankets, so as to have prime seating for the fireworks show that begins around 9pm in the height of summer. Fireworks on Saturday nights at Butchart Gardens. 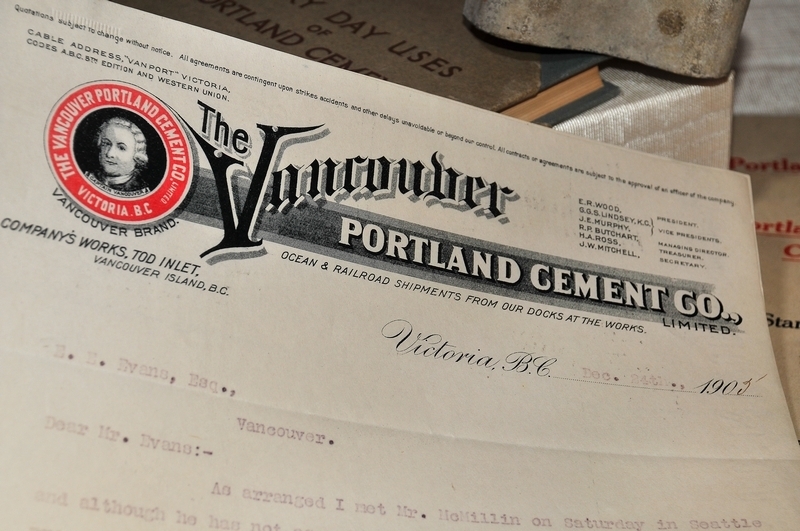 The Butchart family once owned the Vancouver Portland Cement Company. The flowers are enchanting and offer sensory delight to distraction. But if you take a bit of time on your way out to look through some of the museum-like memorabilia the Butchart Family has decoratively placed in what was once their personal living quarters, you may just spy the letter from the Mayor of Victoria to Mrs. Butchart dated 1920 that reads, “The children are all agreed that it was the most pleasant outing they have ever experienced…”. 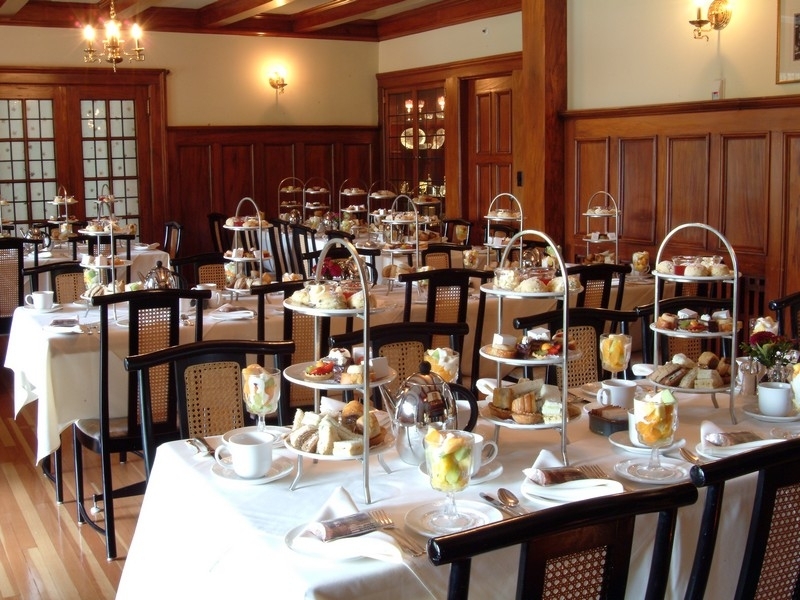 Mrs. Butchart was fond of serving tea in the afternoons to guests in her gardens. Click here for Butchart Gardens’ Calendar of summertime events.